A collection of five funeral poems offered on behalf of Jerusalem after its destruction by Babylon. The Book of Lamentations may not be the most popular book in the Bible, but it is an essential ingredient for helping humans to understand an important aspect of their relationship with God – the expression of grief and distress. This special book is a collection of five lament poems recounting the tragic fall of Jerusalem to Babylon. 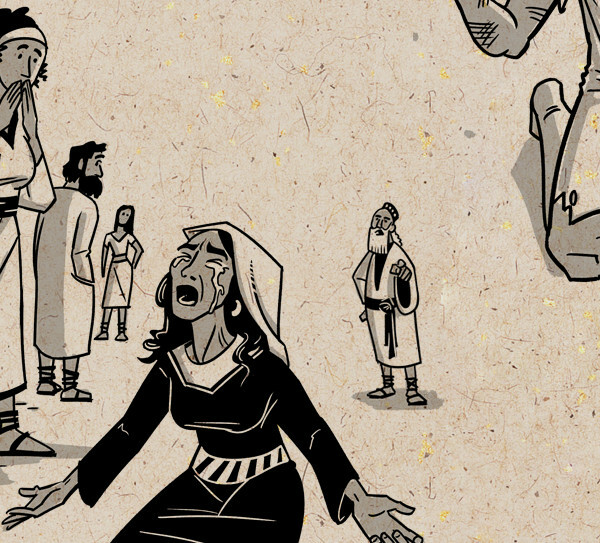 Through personifications, powerful imagery and other literary devices, the Lamentations author establishes a sacred dignity to human suffering by voicing Israel's immense sadness and loss. Heartbroken, Israelites recognize that the Babylonian assault is the result of their rebellion against God. God is slow to anger but will judge against evil. By disobeying God's Covenant, the people of Israel invited war, poverty and exile into their homeland. Their lament poems are a form of protest to these horrible wrongs. Surrounded by disaster, the people of Israel hold onto faith that God will one day rescue them and restore Jerusalem. They see God's judgment as seeds of hope. The poet prays on behalf of all the survivors of Israel, pleading for God's mercy and fearing Him in reverence. Will Jerusalem be restored again? This catastrophic event was the direct result of Israel's constant rebellion against God's Covenant despite His persistent warnings through prophets to Jerusalem's royal lineage. Now surrounded by war, grief and suffering, the people of Israel acknowledge their sin and cry out to God for restoration and repentance in the lament poems, which are a way to process emotion and confusion at the disorder and chaos and to express themselves to God. Reading Lamentations helps us today to understand that communicating our distress to God about what's wrong in our lives is an appropriate response to the evil in the world, rather than keeping it bottled up inside. Life is hevel or vapor, according to the Book of Ecclesiastes. We try to control it, but time marches on, we die and life is random. Hope comes from wisdom, and fearing and obeying God.